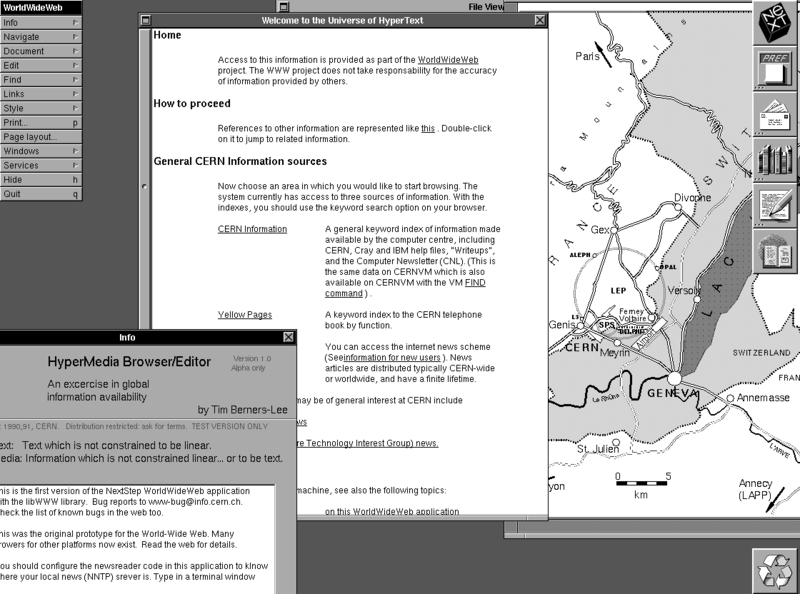 Info.cern.ch was the address of the world's first-ever web site and web server, running on a NeXT computer at CERN. The first web page address was http://info.cern.ch/hypertext/WWW/TheProject.html, which centred on information regarding the WWW project. Visitors could learn more about hypertext, technical details for creating their own webpage, and even an explanation on how to search the Web for information. Recently on 30 April 2013, First ever website brought back to life at its original URL. On April 30, 1993, the website was updated with a statement announcing that the source code for the World Wide Web would be available for everyone, turning "www" into a ubiquitous line for accessing the internet. The website eventually went offline. But on Tuesday, CERN, the Europe-based organisation behind the World Wide Web, restored the site to commemorate the anniversary.